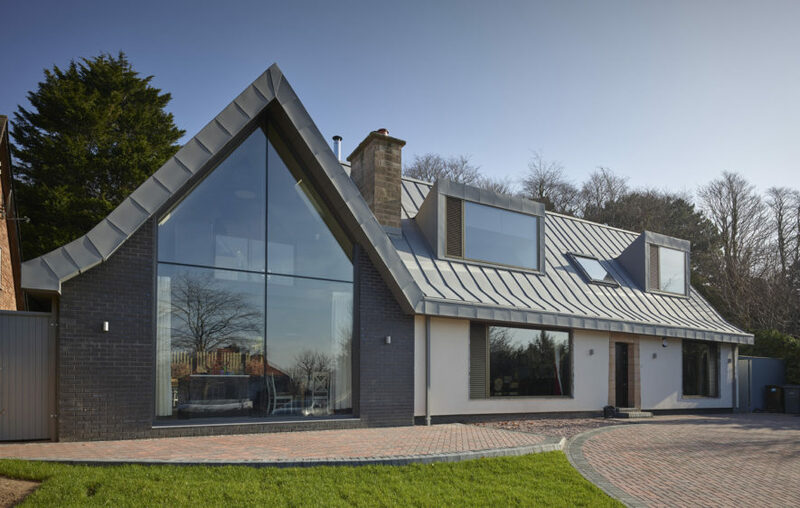 This project is the refurbishment and extension of bungalow dwelling in the Wirral. A new open plan kitchen dining space with a study space on a suspended mezzanine is located in the new extension where light floods into the space through full six-metre high glazing. 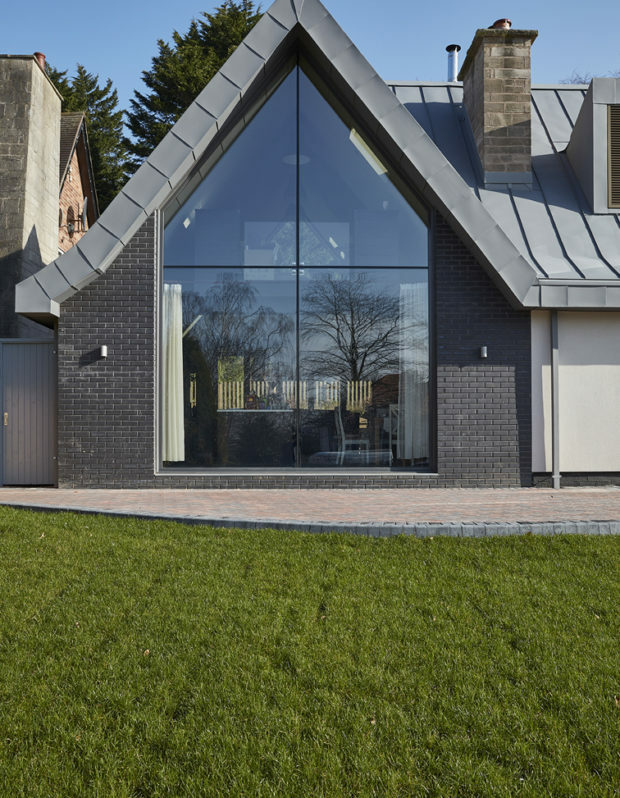 The new black brick extension with large-glazed openings is set in contract to the smaller more modest existing bungalow, which has been insulated and rendered externally. 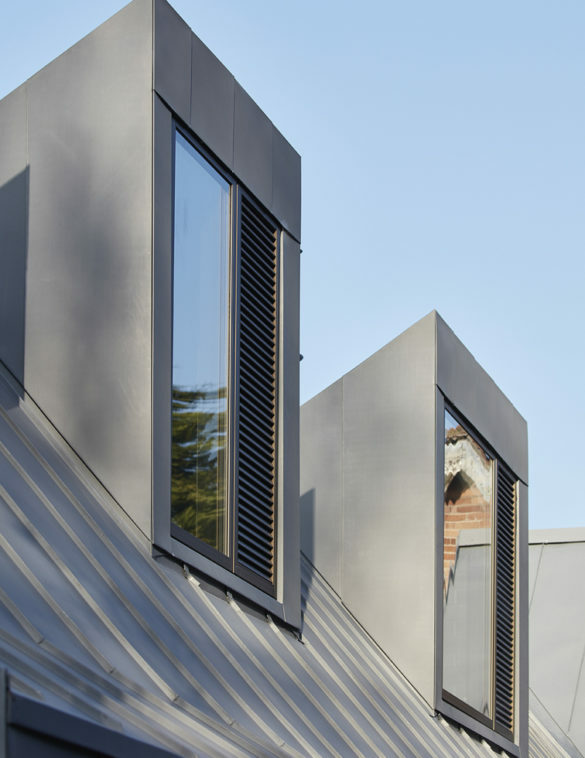 The master and a second bedroom both with en-suites are located in a new zinc dormer roof. 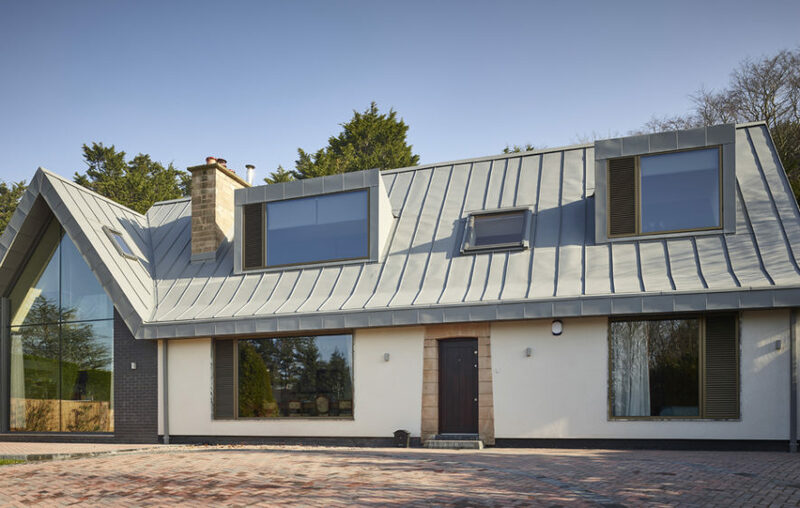 The zinc roof ties into the new extension to link the two masses together.